EANTC is organized the 7th edition of the public multi-vendor Carrier Ethernet interoperability test event and showcase. The results were presented at the Carrier Ethernet World Congress in Amsterdam (October 10 - 13) and the Carrier Ethernet World APAC in Singapore (Nov 30 - Dec 2). The two-week hot staging (September 12-23, 2011) took place at our lab in Berlin. 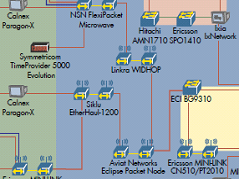 Ethernet Service Activation according to Y.1564. For further information please contact Kathrin Henze (henze(at)eantc.com). 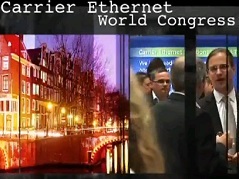 Enjoy our video about the Carrier Ethernet World Congress 2011 and learn more about the results of our interoperability test.